Designers from Bucharest and beyond will gather on November 8th, 6-8 pm to discuss MVPs and more. 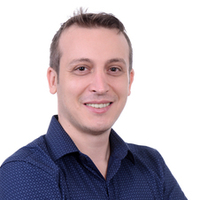 The event will feature a presentation from Alexandru Giuseppe Ispas, a Toptal designer, who will share a few tips on achieving a decent design/UX experience with the minimum amount of work. Later, Brian King, Toptal’s Europe Community Lead will talk about Toptal. This is a great opportunity to connect with local Toptalers, or to introduce your contacts who may want to learn more about the network. Feel free to bring a guest. Please RSVP on this page to give us an accurate head count. For more information, please contact the event organizer.